The January prep races on the Road to the Kentucky Derby have not been strong races in years, but the Lecomte Stakes (G3) has been the most productive in turning out starters for the Kentucky Derby, with 13 runners in the past 11 years. 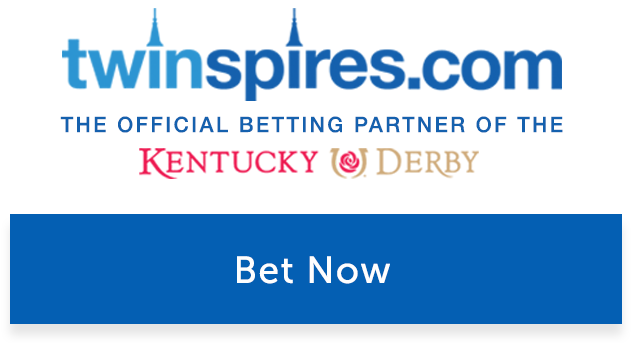 In fact, last year’s impressive 3 3⁄4-length Lecomte winner, Instilled Regard, beat a deep field and then went on to a fast-closing fourth-place finish in the Kentucky Derby at 85-1 odds. Saturday’s $200,000 Lecomte Stakes at Fair Grounds presents an intriguing lineup on the Road to the Kentucky Derby. It also will be run on a wet and heavy track, with 100 percent chance of rainfall in the forecast. The top four finishers from an overflow field of 15 runners will earn 10-4-2-1 points, respectively, towards qualifying for the Derby. The mile-and-70-yard race has no clear favorite, with leading contender Plus Que Parfait (9-2) the morning-line favorite. The other expected contender was Breeders’ Cup Juvenile (G1) fourth-place finisher Mr. Money (5-1), but he was scratched Friday due to sickness following his early morning gallop. The other leading contenders include Tackett (6-1) breaking from post 3, and War of Will (6-1) in post 8, one of two entries for trainer Mark Casse. Trainer Steve Asmussen also has two entries in the Lecomte, including his best chance with Tight Ten (8-1) in gate No. 11. Tackett has won two straight since coming to Fair Grounds in November and has been working well for his stakes debut. War of Will has a turf pedigree and finished fifth in the Breeders’ Cup Juvenile Turf (G1). He also finished second and fourth in two other graded turf races last fall. However, in his dirt debut in November, the son of War Front won impressively by five lengths over a sloppy track to break his maiden and now makes his sixth start. He has four strong works over the Fair Grounds track leading up to this Derby prep. Must add to win wagers and exotics. Tight Ten had a troubled trip in the Breeders’ Cup Juvenile, but before that, he was first or second in three starts. He could be part of the early brisk pace. If you’re looking for a longshot to consider adding to your wagers, then Roiland (12-1) could be a closer coming late. He finished fifth with a late rally in the Kentucky Jockey Club (G2) at Churchill Downs in November in the same race Plus Que Parfait finished second. Roiland adds blinkers and also had a bullet work (best of 77 other workers going five furlongs) for local trainer Tom Amoss on January 5. The Lecomte Stakes sets up to have heavy pressure up front, and a closing or off the pace type that can navigate traffic should have a shot to hit the board or win. That makes an improving Plus Que Parfait one to watch and wager on as he came from 11th at the half-mile pole in the Kentucky Jockey Club to finish a fast-closing second by a neck. The Lecomte Stakes is Race 12 at Fair Grounds in New Orleans on Saturday, January 19, with a post time of 6:49 p.m. (ET). The Lecomte Stakes is the first of three ‘Road to the Kentucky Derby’ races run at the Fair Grounds Race Course in New Orleans, La. The Grade III race is held each January for 3-year-olds and is contested at 1 mile and 70 yards. The current purse is $200,000, and the top four finishers receive a qualifying points split for the Kentucky Derby of 10-4-2-1. The winner usually runs in the Louisiana Derby in hopes of making it to the Kentucky Derby. The Lecomte Stakes was first run in 1944 and named after the horse that set the world record for four miles at the Fair Grounds in the 1850’s. Just one winner of the Lecomte Stakes has gone on to win one of the legs of the Triple Crown: Oxbow, who went on to win the Preakness Stakes and finished 2nd in the Belmont Stakes following his record-setting Lecomte Stakes victory by 11 ½ lengths in 2013. Another winner, 2007 champion Hard Spun, later finished second in the Kentucky Derby and third in the Preakness Stakes. In 2002, War Emblem finished 5th in the Lecomte and then went on to win both the Kentucky Derby and Preakness Stakes. The most successful trainer in Lecomte Stakes history is Tom Amoss, who has won the race at least four times with one of his most recent wins being with Mo Tom in 2016. The race record for fastest time was set by Victor’s Trouble (2014) in 1:42.57.